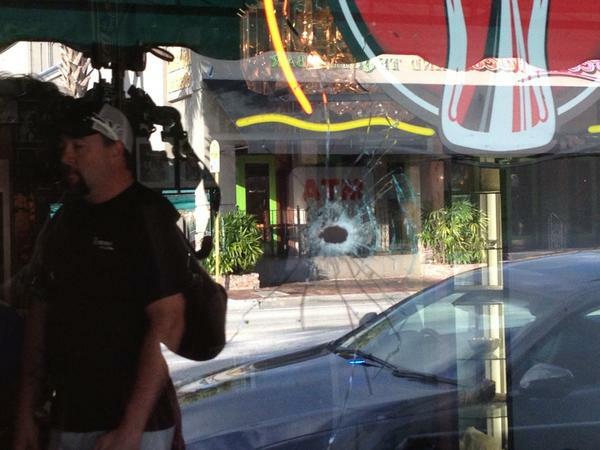 (PICS) RICK ROSS ESCAPES SHOOTING + @50Cent weighs in. 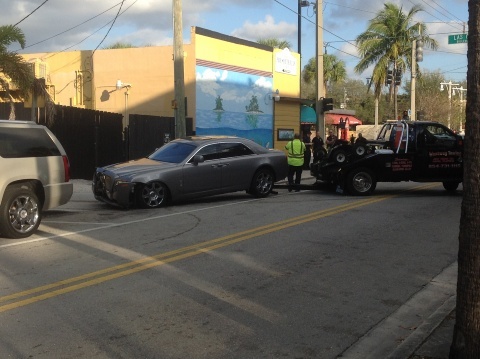 Popular rapper Rick Ross was almost a victim of a gun related incident earlier today (January 28) when a car pulled up on his Rolls Royce and started shooting. TMZ has broken the news about the incident but has not been able to confirm if the Rapper or his female passenger had escaped unhurt from the incident. The incident occurred at Fort Lauderdale, Florida's Los Olas Boulevard, near 15th Avenue. The Rapper crashed his Rolls Royce Phantom while accelerating away from the shooters, into a building. At present, no arrests have been made or suspects have been named, although the Police have being trying to gather more information about the driveby shooting from surveillance cameras around the scene of the incident. A witness had said that the Rapper looked shaken up after the incident. The rapper has had a run-in with a Street gang Gangstar Disciple, who demanded that the rapper pay some protection money to the group.